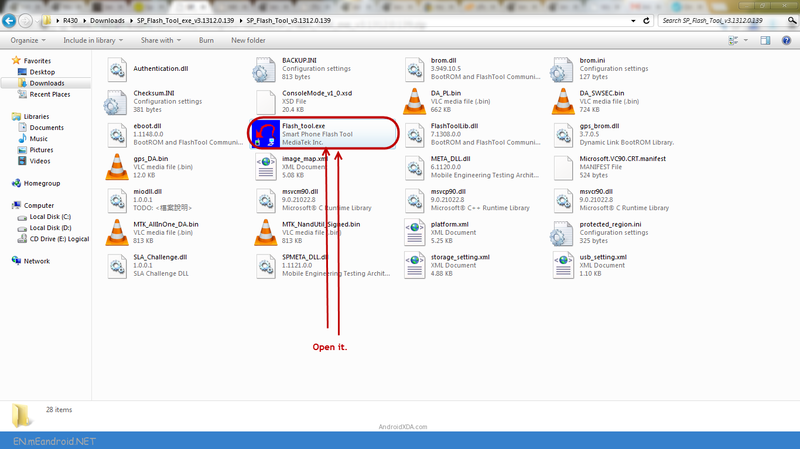 These are the instructions to How to Download and Flash Innjoo i2 Stock Rom (flash file) using Smart Phone Flash Tool (SP Flash Tool) on Windows Computer. Do you want to change the stock ROM of Innjoo i2 Device or your stock ROM has got corrupted ? Then in this tutorial we’ll guide you to the process of using the SP Flash Tool (Smart Phone Flash Tool) to install the custom ROM on your Innjoo i2 device. The firmware shared on this page is officially released by the company and helps you to recovery your Innjoo i2 device if you ever got bootloop, software error, update error, hanging and dead issue. 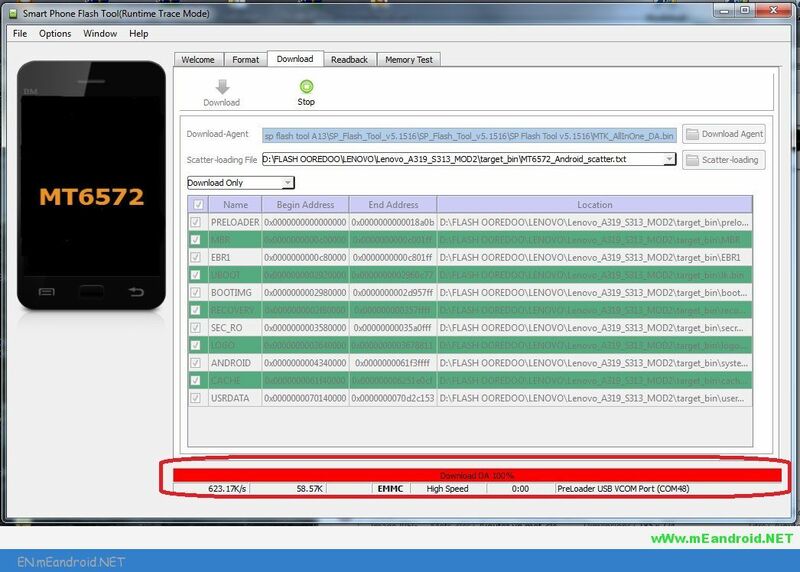 Caution: Your personal data will be deleted after flashing the stock firmware through Smart Phone Flash Tool (SP Flash Tool), So take a backup of everything before following the tutorial below. STEP 1: Download and Install the Innjoo USB Driver 2017 on your computer. In case you have already installed them, you can skip this step. STEP 2: Switch Off your Innjoo i2 and Remove the battery in case it is removable. STEP 3: After downloading, extract the zip file on you system. STEP 4: Download the SP Flash Tool on your system and extract the downloaded zip file on your system. 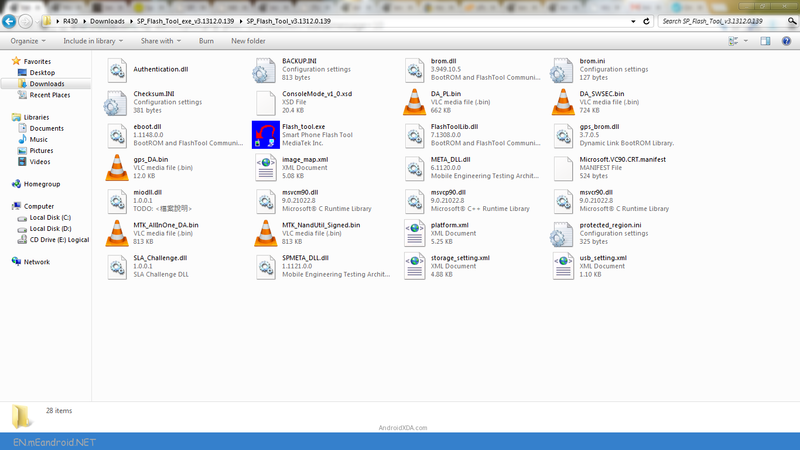 After that you can see the following files listed. STEP 5: Form the files listed run the Flash_tool.exe file. STEP 6: Once the SP Flash tool is started, click on the Scatter-Loading button located in the right side. STEP 7: Now locate the scatter file in your stock ROM. It is generally located in the bin/ directory. STEP 8: Now click the Download button to start the downloading process. 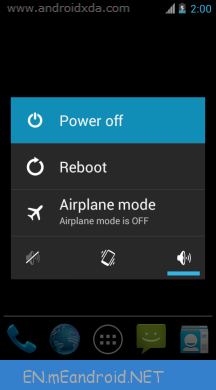 STEP 9: After completed all the above steps, connect yourInnjoo i2 to your system using the USB cable and , press any button other than power button so that your system will detect your Innjoo i2 device. You can use volume buttons. Step 10: Once the flashing process is completed, a green ring will appear on your system. Now disconnect your Innjoo i2 device and switch it ON. 1. The above tutorial only works with the Stock firmware or Custom Rom which comes with the Scatter file in it (basically mediatek devices). 2. Backup Please: Take a backup of your important data before using the Smart Phone Flash Tool as because during the flashing process your personal data will be removed permanently. 3. 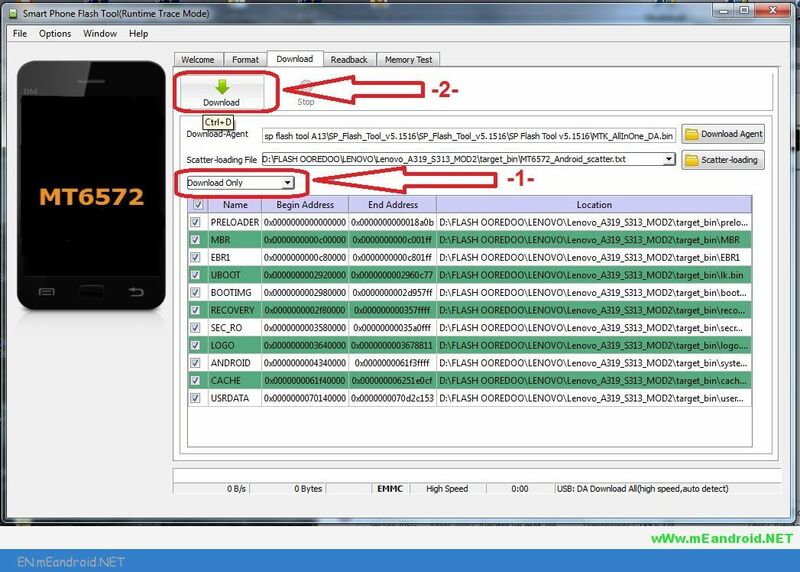 How to Flash IMEI: After flashing the firmware on your Mediatek Device, maybe you need to follow How to Flash IMEI using SN Write Tool to fix the IMEI on your Innjoo i2 device.